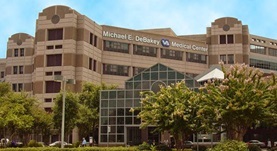 Dr. Bradley Hatfield is a highly trained radiologist in Los Alamitos, California and he works at Michael E. DeBakey VA Medical Center. He got his diploma from University of Texas Medical School and did his internship at University of Texas Health Science Center. Dr. Bradley Hatfield completed his residency stage in Radiology at University of Texas Health Science Center and did a fellowship in Vascular and Interventional Radiology at the University of California Irvine. The doctor is certified in Diagnostic Radiology, Vascular & Interventional Radiology and has an experience of more than 10 years. Dr. Bradley Hatfield has contributed to 3 publications. Psychophysiological support of increasing attentional reserve during the development of a motor skill. Rietschel, J. C.,McDonald, C. G.,Goodman, R. N.,Miller, M. W.,Jones-Lush, L. M.,Wittenberg, G. F.,Hatfield, B. D.; Biol Psychol. 2014 Dec 03. Evolution of cerebral cortico-cortical communication during visuomotor adaptation to a cognitive-motor executive challenge. Gentili, R. J.,Bradberry, T. J.,Oh, H.,Costanzo, M. E.,Kerick, S. E.,Contreras Vidal, J. L.,Hatfield, B. D.; Biol Psychol. 2014 Dec 23. The Influence of Social Evaluation on Cerebral Cortical Activity and Motor Performance: A Study of "Real-Life" Competition. Hatfield, B. D.,Costanzo, M. E.,Goodman, R. N.,Lo, L. C.,Oh, H.,Rietschel, J. C.,Saffer, M.,Bradberry, T.,Contreras-Vidal, J.,Haufler, A.; Int J Psychophysiol. 2013 Aug 14.